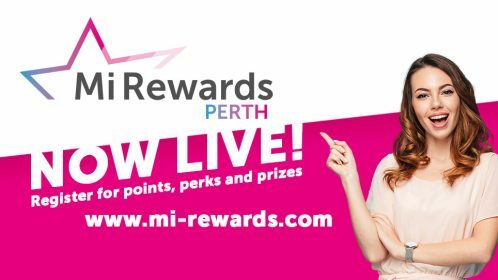 From Friday the 21st of September Perth will be ready to reward you, with a brand new loayalty programme called Mi Rewards Perth. When you shop local you support local jobs and enrich the local economy. This gives you every reason to feel good about yourself. But wouldn't it be nice to get a little something back too? Perth businesses really do appreciate your support and they've come up with the perfect way to say thank you. From Friday 21st of September onwards you will be able to benefit from 'Mi Rewards Perth'. What's different about Mi Rewards Perth? You've probably already signed up to a host of loyalty programmes. It's likely you have so many cards that you need a separate wallet just to keep track. Mi Rewards isn't like that. It isn't a reward card (there is no extra thing to carry around with you at all). Mi Rewards Perth is a 'thank you'. Simply register and link your existing debit/credit cards and every time you spend a pound in a participating business using these cards you get one 'Mi Point'. Once you have enough Mi Points you can hit convert and we will send you a free Perth Gift Card! The amazing thing about Mi Rewards is that membership also makes you an instant 'Perth VIP'. Being a member gets you entry into competitions, exclusive access to VIP-only discounts and offers, plus you may find yourself on the receiving end of an occasional 'random act of kindness' courtesy of the businesses you know and love. We'll be running something really special every Friday afternoon live on the Perth City Facebook page in the shape of an exclusive perk for Mi Rewards members. Don't forget to tune in to see what's in store each week. Signing up to Mi Rewards Perth is simple. The programme is live now so don't miss out. Click here to register and you'll even be entered into a prize draw with a top prize of a £250 Perth Gift Card.